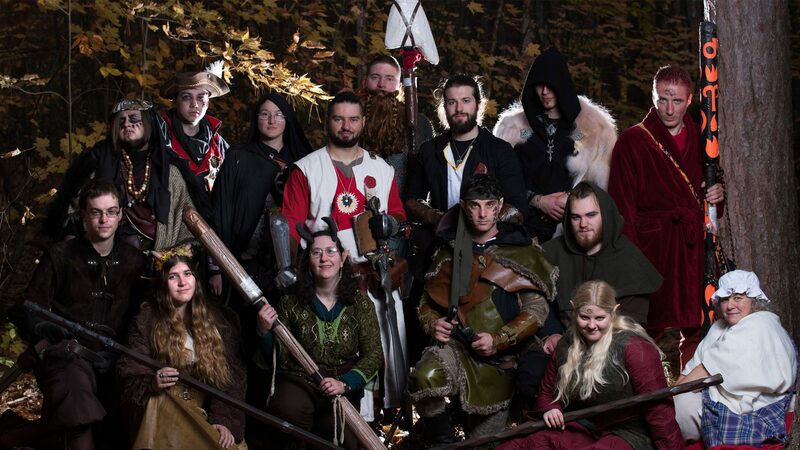 Shadow Realms is an exciting fantasy LARP providing a unique medieval fantasy setting. At Shadow Realms, you create a character for a fantasy story and actually play the character. It is much like improvisational theatre except you have the framework created by props and supporting characters. Your character’s attitudes, ambitions and history are yours to define. Players act as their character and solve mysteries throughout the event, from short plot lines lasting a few hours to long plot lines lasting multiple days, months or even years. Plot members and non-player characters interact with players providing clues and hints to the differing plot lines. Combat at Shadow Realms is simulated using safe foam weapons. All weapons must meet all safety requirements and must be checked by a Plot member before it may be used in game. Latex weapons are allowed on a player-by-player basis. Safety is Number #1.